As an Outdoor Instructor, you will deliver a range of fun, memorable and tailored adventurous activities, experiences and adventure holidays aimed at families, individuals and groups. 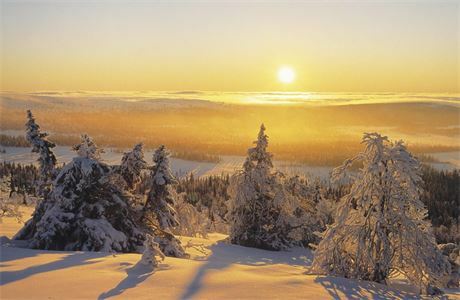 Such as, snowmobile tours, ice fishing, snowshoeing and cross country skiing. Utilizing your knowledge of health and safety, activity planning and risk assessments, you will ensure delivery of all activities. You will be responsible for ensuring an excellent standard of service to clients, including providing appropriate briefings on activity content and health and safety. You will be expected to be hands on and will to help with pre-opening activity bases, ongoing trail maintenance and snow clearing during lack time between client activities. Plan and prepare activity content. Ensuring all activities are carried out within Standard Operating Procedures and policies. Memorize route plans and plan logistics to ensure successful and safe delivery. Ensure all kit and equipment is available for activities. Research and study local flora and fauna, wildlife and local folklore to enhance guest experiences. Deliver safe and effective activities in accordance with aims and objectives seeking to exceed client expectations. Provide briefings to clients, explaining and demonstrating activity content as appropriate. Ensure excellent customer service at all times. Make activity records as appropriate, incidents, near miss and equipment logs. Ensure the welfare and safety of clients throughout excursions. Be responsible for personal health and safety of yourself, co-workers and clients. Support and encourage open communication amongst clients and staff teams to ensure effective and safe activities. Assist during guest arrivals with providing Arctic thermal wear. Maintain stocks of firewood, fuel, candles etc. at various activity bases. Undertake any training and professional development as and when required. Undertake any other reasonable duties, commensurate within the job title, as may be determined your line manager. On appointment, will hold a minimum of one outdoor adventure Coaching qualifications: Summer ML Award, Single Pitch Award, Level 2 Canoe/Kayak Coach or UKCC 4* Canoe/Kayak, Mountain Bike Leader Award, Level 2 Sailing/windsurfing coach, Ski Instructor. Without formal qualification candidates must have a minimum of 12 months’ work experience as an Instructor. Candidates must hold a recognized outdoor emergency First Aid Certificate. Experience of planning and resourcing outdoor activities. Proven ability to work effectively with clients and as part of a team. Ability to motivate and encourage people, utilizing strong communication and people skills. Ability to remain calm in difficult situations and identify solutions to problems. Ability to set appropriate professional standards for self and others. Experience of alpine, Arctic environments or undertaken previous adventurous expeditions. Experience of checking, maintaining and auditing off road vehicles and outdoor equipment. 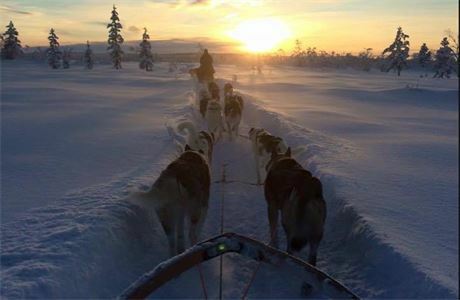 One of the leading inbound tour operators in Lapland, Davvi Arctic provides clients with a range of thrilling activities and quality accommodation, all set deep within the Arctic Circle. 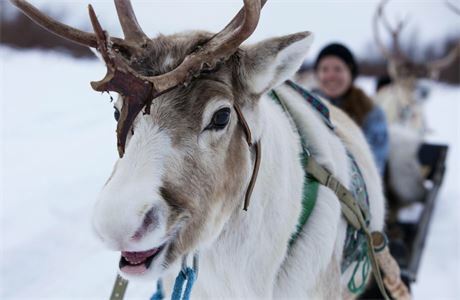 Winter activities range from snowmobiling, husky sledding and Northern Lights safaris, as well as memorable family meetings with Santa Claus in his homeland. 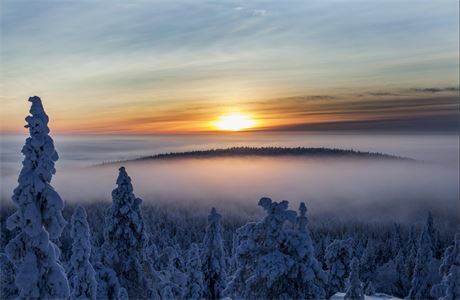 Based in ‘True Lapland’, we pride ourselves on offering once-in-a-lifetime experiences in an unforgettable part of the world – a real winter wonderland. 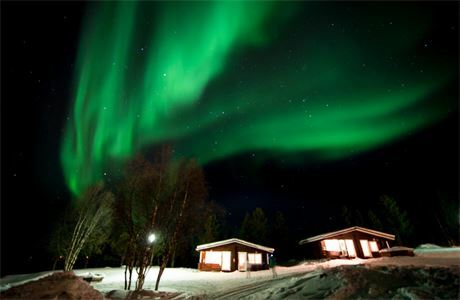 Far from the mass-market ski resorts or Santa ‘theme parks’, we choose to welcome guests from all over the world to remote, wilderness Arctic locations in the very north of Sweden and Finland - making dreams come true for thousands of children and grown-ups alike. The Davvi Arctic team is enthusiastic, dedicated and hardworking. We have a hands-on approach and are passionate about delivering high quality customer experiences. All our job roles are challenging but rewarding and require a high level of flexibility and team spirit. A “can do attitude” is essential, and so is a willingness to step into other roles as necessary to ensure the smooth running of the programmes. Working in the Arctic requires physical fitness, passion and above all commitment. The remote environment and the intensity of the client programme are not for the faint hearted but it offers staff an opportunity like no other. If you have what it takes to be part of the Davvi Arctic team, then we’d love to hear from you. 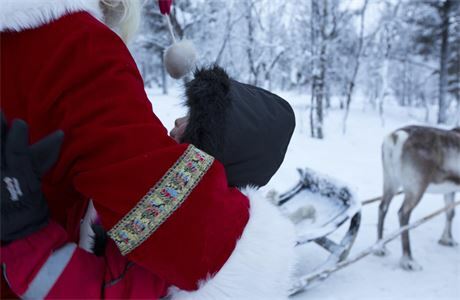 · Reimbursement of flights to/from Lapland. 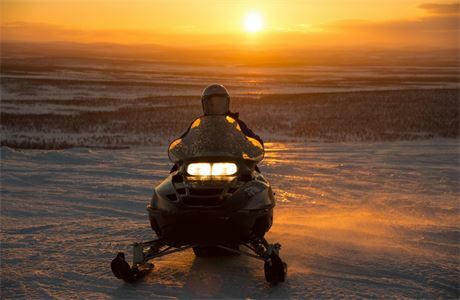 · Opportunity to enjoy Lapland excursions such as, snowmobiling & husky sledding.